Functional cookies remember your preferences. To this end, Eurol makes use of cookie control cookies. These cookies serve to remember your preferences with respect to cookies. These are obviously essential in order to record whether or not you give your consent for certain cookies to be stored on your computer or device. Please note: all the cookies we use are to ensure the proper functioning of the website and to guarantee ease of use. Via our website, cookies are placed by Google as part of the Google Analytics service. We use this service to monitor and generate reports on how visitors use our website. Google may also transfer this information to third parties where required to do so by law, or in cases in which such third parties process the information on Google’s behalf. We have no influence over this. We have not given Google permission to use the Analytics information it receives from us for any other purpose. The information that Google collects is anonymized as much as possible. Your IP address is explicitly not provided. The information is transferred to and stored by Google on servers in the United States. Google states that it adheres to the safe harbour privacy principles and is affiliated to the safe harbour programme of the United States Department of Commerce. This ensures that an appropriate level of protection is provided for the processing of any personal data collected. 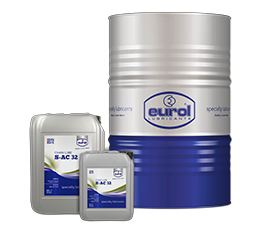 Eurol regularly uses remarketing via Google Adwords and sometimes via Facebook. This means that advertisements may be displayed on Facebook and on websites from the Google network on the basis of your visit to our website. Google and Facebook will display these advertisements on the basis of a cookie that is placed on your computer, laptop, tablet, or smartphone. Our website features buttons to promote (‘like’) or share (‘tweet’) web pages on social networks such as Facebook, Instagram, LinkedIn, and Twitter. These buttons use pieces of code provided by the social media channels themselves. Cookies are placed using this code. We have no influence over this. Please read the privacy policies of the social media channels featured on this website (note: these may change from time to time) to find out what they do with your personal data and other data that they process by means of these cookies. The information collected is anonymized as far as possible. This information is stored on servers in the United States. Facebook, Instagram, LinkedIn, and Twitter state that they adhere to the safe harbour privacy principles and are affiliated to the safe harbour programme of the United States Department of Commerce. This ensures that an appropriate level of protection is provided for the processing of any personal data collected.